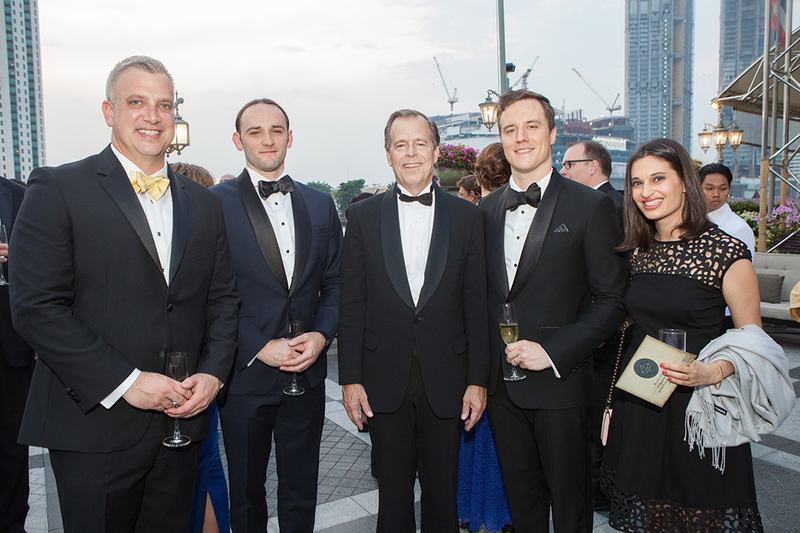 (L-R) Meridian’s Vice President of Cultural Programs Terry Harvey, Curator William Bradford Smith, Ambassador Glyn Davies, Curator Trevor Merrion, and Meridian’s Director of Cultural Programs Lindsay Amini at the exhibition gala. 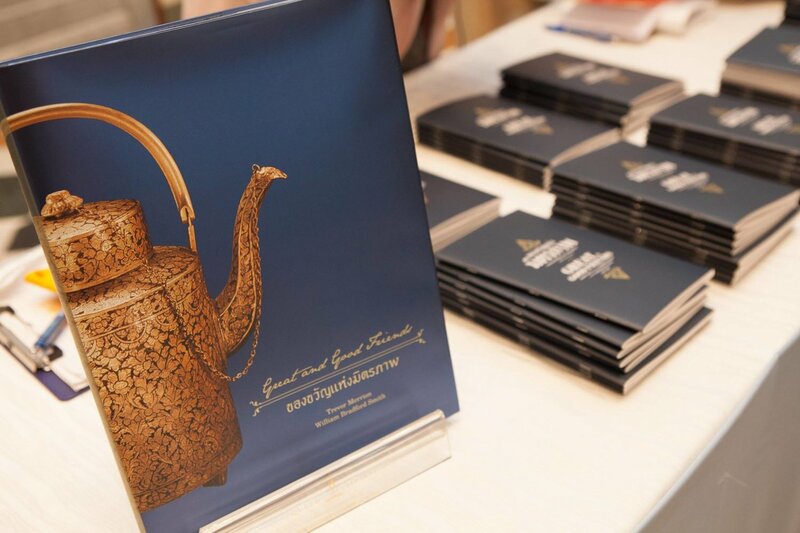 In commemoration of 200 years of friendship between the United States and the Kingdom of Thailand, the Meridian Center for Cultural Diplomacy, in partnership with the U.S. Embassy in Bangkok, organized an exhibition at the Queen Sirikit Museum of Textiles displaying the official gifts exchanged between the two nations at significant moments over the past 200 years. The exhibition will be the marquee event to celebrate the bicentennial of U.S.-Thai relations. It opened March 21, 2018 and will run through June 30, 2018. Great and Good Friends underscores the significant bilateral ties - in trade, education, health, and people-to-people exchange—that helped established Thailand as America’s oldest treaty ally in the region. 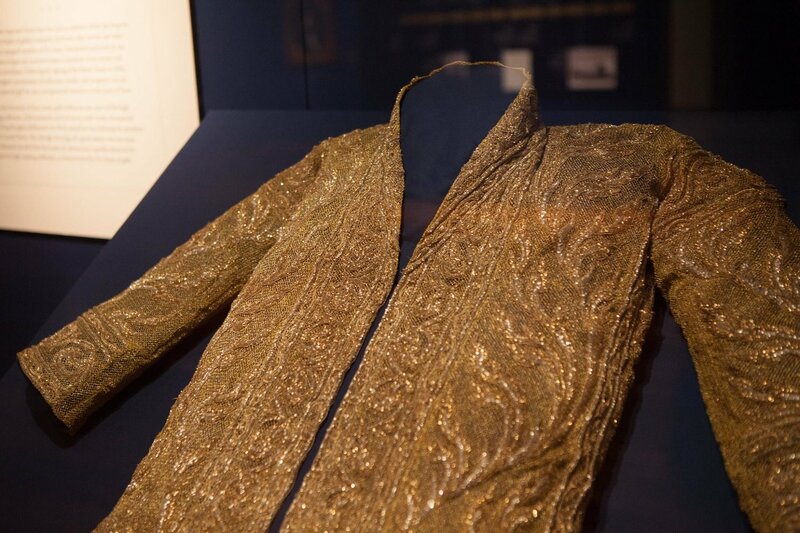 The exhibition will feature royal gifts from Their Majesties King Bhumibol Adulyadej and Queen Sirikit, King Prajadhipok, King Chulalongkorn, and King Mongkut to and from respective American presidents. 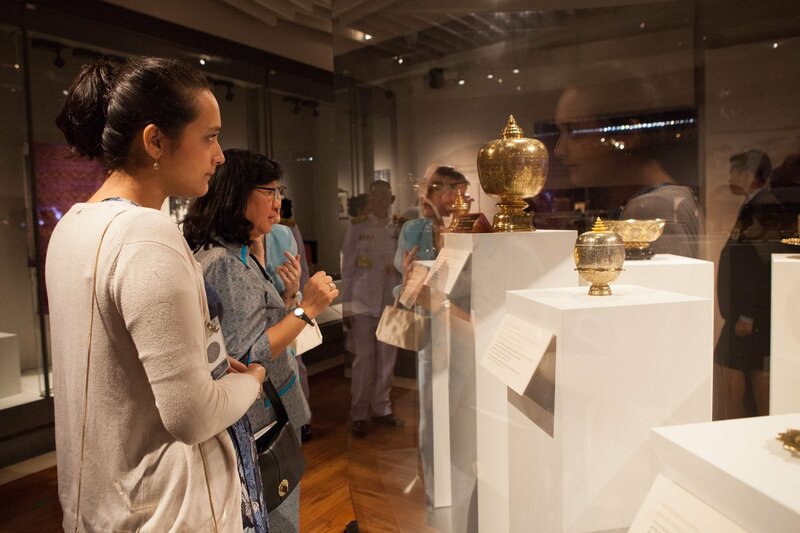 Most of these gifts have never been seen by the public, and many will be displayed in Thailand for the first time. The gifts tell a story of two worlds uniting on the basis of goodwill and understanding. The exhibition represents unprecedented cooperation between leading Thai and American cultural institutions, including contributions from the Smithsonian Institution, the National Archives and Records Administration and its presidential libraries, the Library of Congress, King Prajadhipok’s Institute, the National Museum Bangkok, the Thai Department of Fine Arts, and the Thai Film Archive. 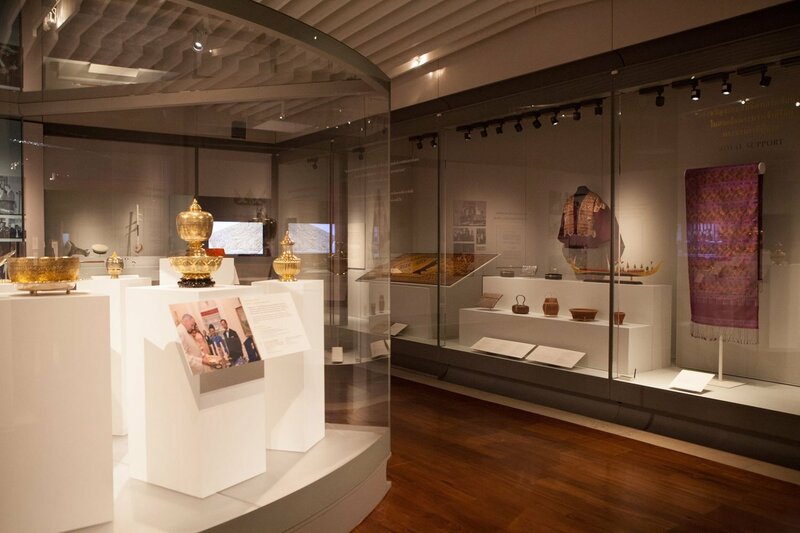 The objects on display in Great and Good Friends are on loan from the Smithsonian Institution, the National Archives and Records Administration and its presidential libraries, and the Library of Congress. 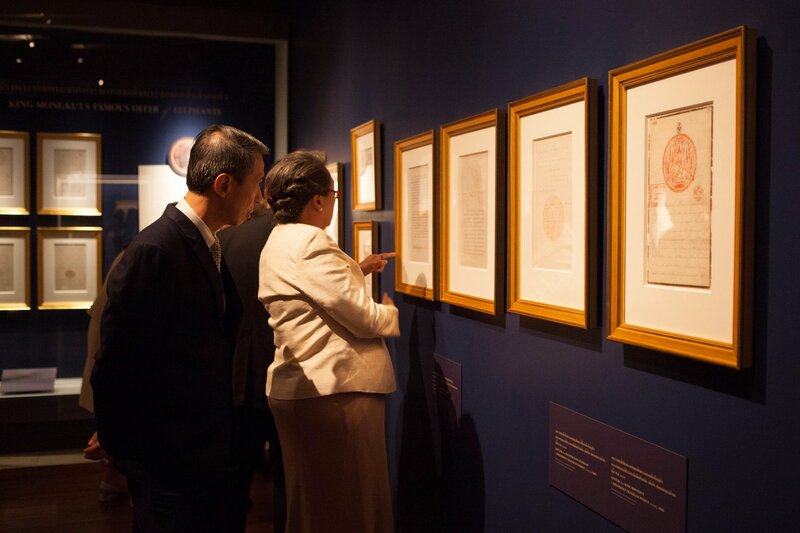 Visitors examine letters written by Thai kings to U.S. presidents, from the collections of the National Archives, at the Queen Sirikit Museum of Textiles. April 4, 2018Spring News’ World Focus, The U.S.-Thailand Celebrates 200 Years of Friendship. March 23, 2018MCOT’s Thai News Agency aired a Facebook Live session from the exhibit. The session included an interview with Ambassador Davies and a tour of the museum. March 23, 2018Spring News also aired a Facebook Live session from the exhibit. The session included an interview with curator Trevor Merrion as he led a tour of the exhibit. March 23, 2018Spring News aired a report on the Great and Good Friends Exhibit.